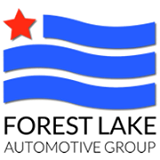 At Bill’s Auto Body of Forest Lake, auto repair services include both collision repair and hail damage repair. You will receive the highest quality collision repair services performed by highly trained technicians in a state-of-the-art facility. Bill’s Auto Body of Forest Lake, Minnesota is the preferred choice for collision repair and auto body work among customers on the north and east side of the Twin Cities. Bill’s Auto Body has provided auto repair for over 30 years. They understand the impact of a disabled vehicle on your schedule, and they strive to provide a stress-free collision repair experience.